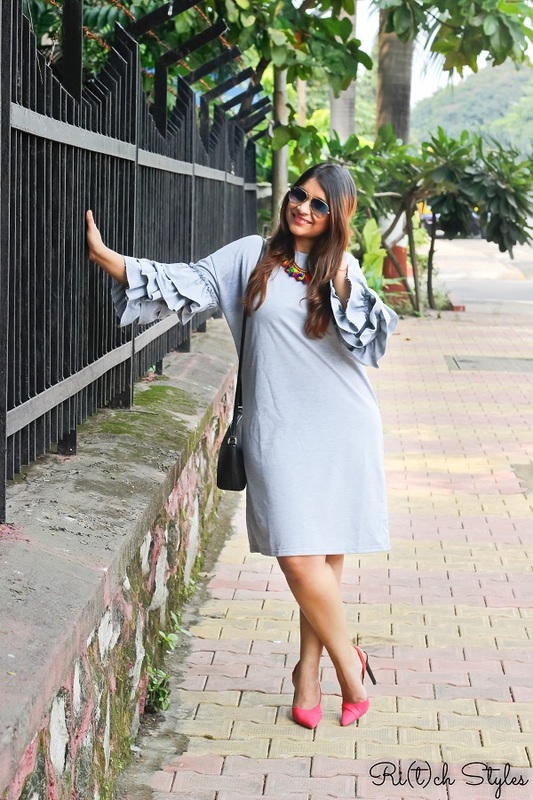 Ri(t)ch Styles : Indian Fashion, Beauty, Lifestyle and Mommyhood Blog: Belle in Bell Sleeves! 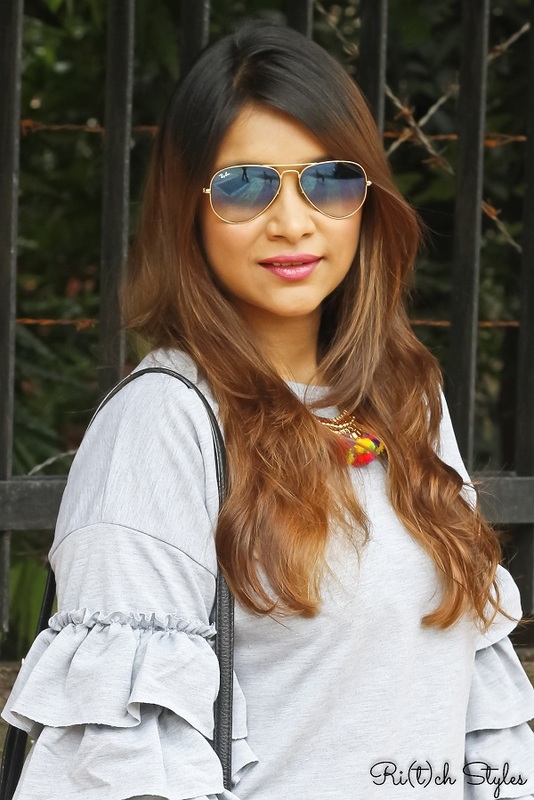 Feminine and Flirty yet Fierce, not to mention Retro, is how I define the Bell Sleeves trend. 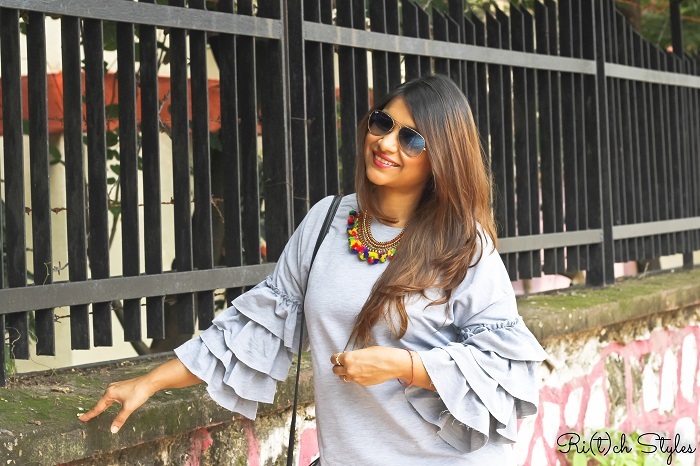 Statement sleeves are the best way to add a little drama to your outfit, and the bell sleeves trend seem to be coming back with so many variations that I can't seem to be able to get enough of it! 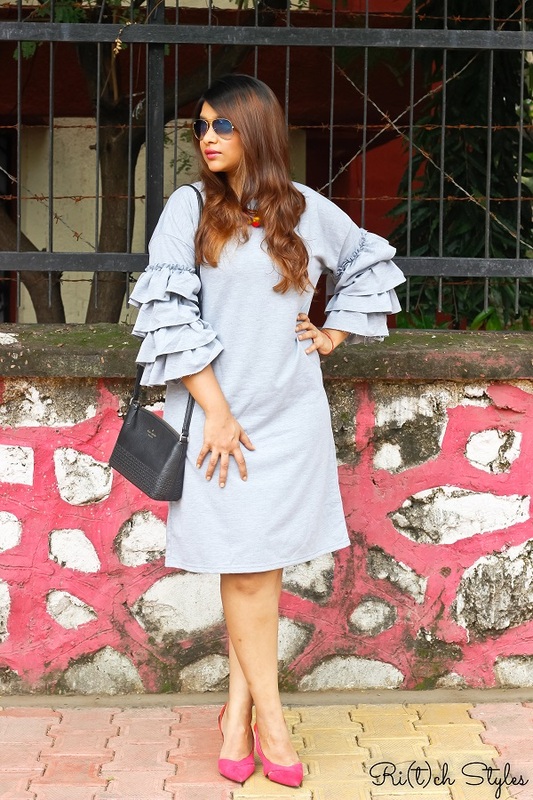 Today I wanted to share this cute new tiered bell sleeve dress with you guys that I got the other day thanks to SHEIN. 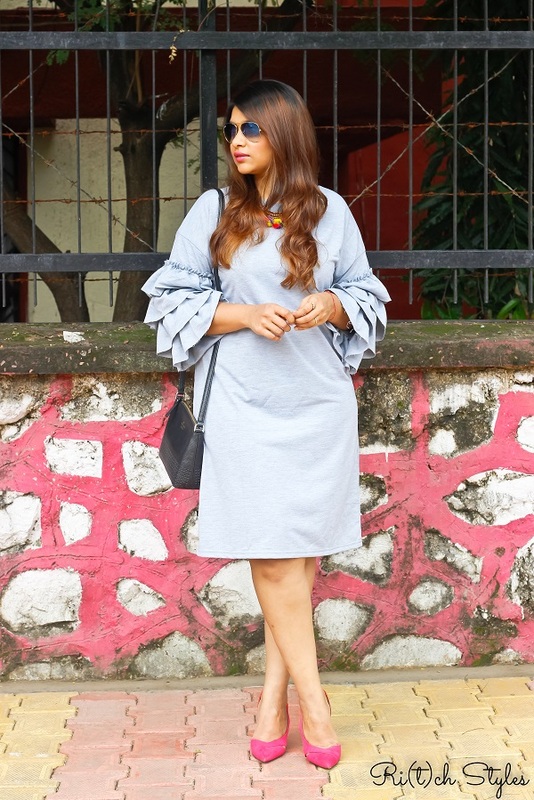 As you can see it is a plain grey tee dress, but the tiered bell sleeves just upgrade it to the next level. 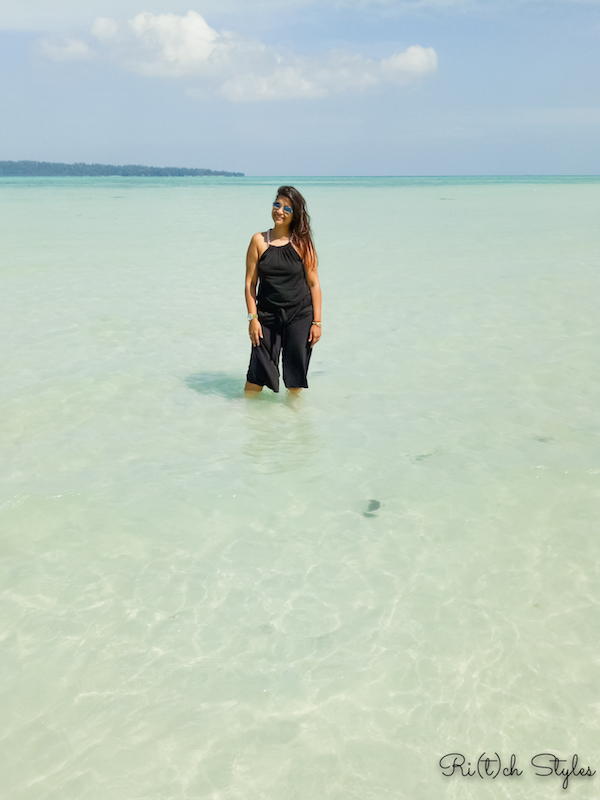 Knowing me, you also know that I won't wear it just like that and will definitely add a pop of colour by co-ordinating accessories. 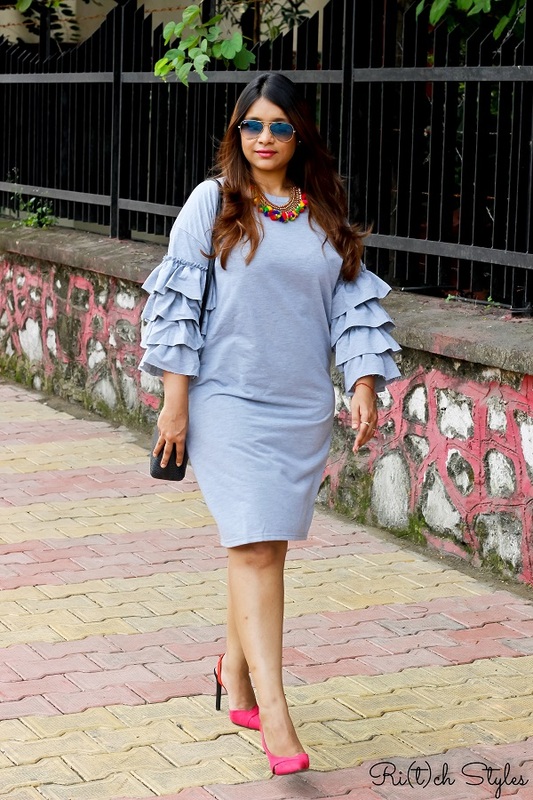 So my new red and pink colour blocked Zara pumps, and multi-colour pompom necklace were the ideal addition to do that job perfectly! 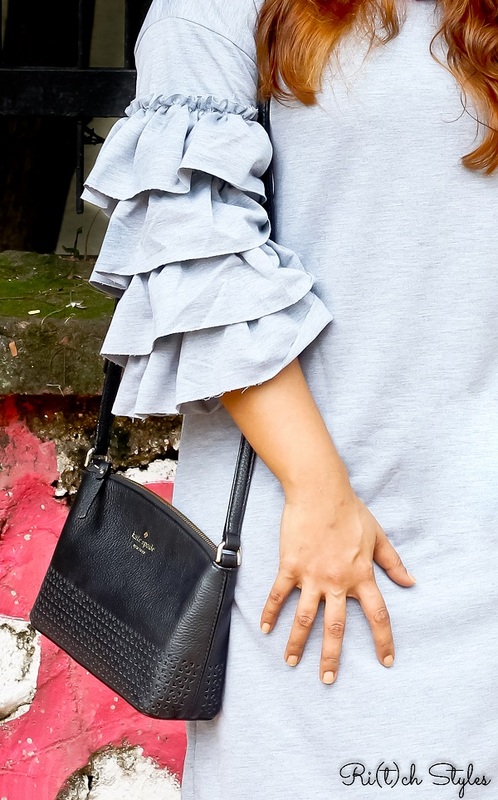 For the bag I chose to stick to my neutral black cut-out Kate Spade bag which is now a days my go to bag for anything, be it an event, party or trip. Looking gorgeous in Belle Sleeves. Such a fabulous and stylish Cloths. I like this Blog. Please try to Post Beautiful Sarees and Kurtas.